Hey-o! How’s it going? How were your holidays? Did you get to spend time with family, friends? Anyone get or give any good presents? This year, I got my boyfriend a TON of workout clothes and a yoga mat (I’m particularly devoted to this one), my mom and sister customized Build-A-Bears, and my dad this awesome pineapple green tea he wanted. My boyfriend also got me this beautiful gold constellation necklace (I love astronomy), so it was a great Christmas all around! Quick sidebar: I don’t think I’ve ever talked about my fascination with astronomy here. It’s what first got me into subatomic particle physics, which I had intended on majoring in before getting pushed into business. Even now, though, I hold such a deep love for outer space and all things astronomy. Call me a nerd, but I love explaining how black holes work or talking about the various nebulas with my friends (Horse’s Head all the way!!). And if you’re ever looking for something mind-bending and awe-inspiring to do, go to the Hubble Space Telescope’s website and look at the amazing images they’ve taken. They are – dare I say it – out of this world! Okay, okay, enough space talk. Here’s a little recipe I whipped up with New Year’s Eve in mind. I love a glass of champagne as much as the next person, but I have a super sensitive stomach, and alcohol isn’t always the best fit. 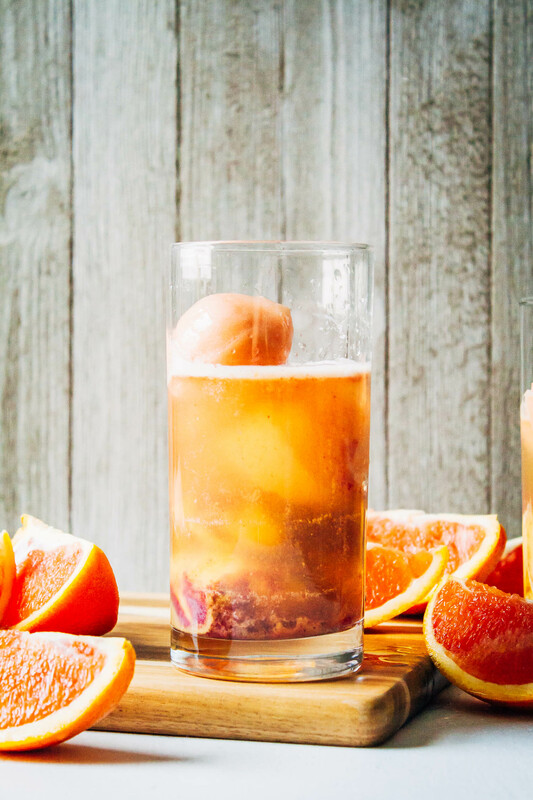 Enter in kombucha – it’s fizzy, slightly-alcohol-y (it’s fermented and actually does contain a very small percentage of alcohol), and healthy too! 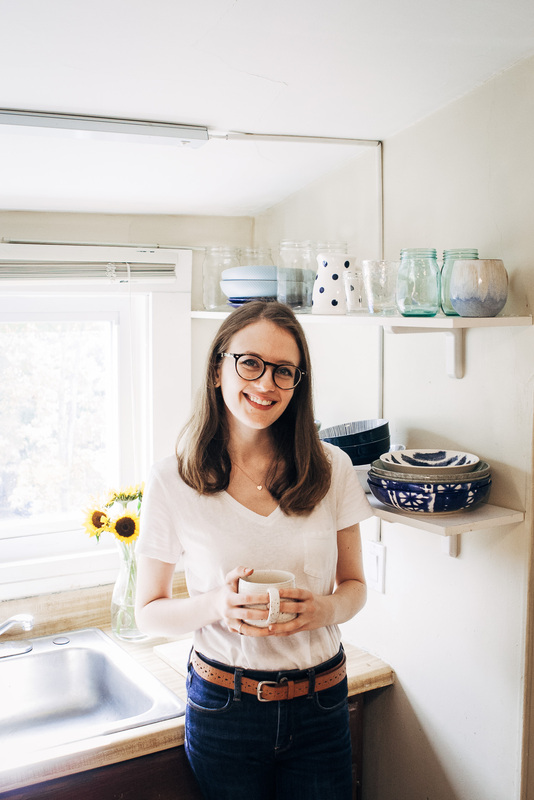 I also love kombucha because it’s probiotic, meaning it contains live active bacteria cultures (the good kind) that help replenish the bacteria in your gut. 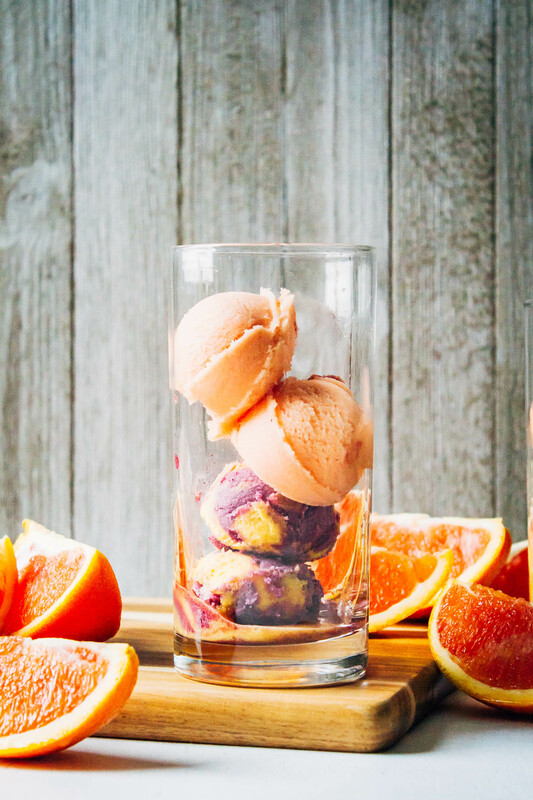 So here’s what you do – get your fave fruity sorbet, sorbetto, sherbet, or even ice cream. Add a few scoops into a glass, however many will fit, and pour over some kombucha. Voila, kombucha floats!! I called this recipe “kombucha mimosa floats” because I used orange sorbetto, but virtually any type of fruity frozen thing will work. Heck, you could even use a popsicle and it would work! The key here is keeping fruits with fruits – I’ve really never heard of a fruit combination that’s bad. Just pick a fruity kombucha that you like, and a fruity frozen thing that you like, and you’ll probably like the combination of the two. 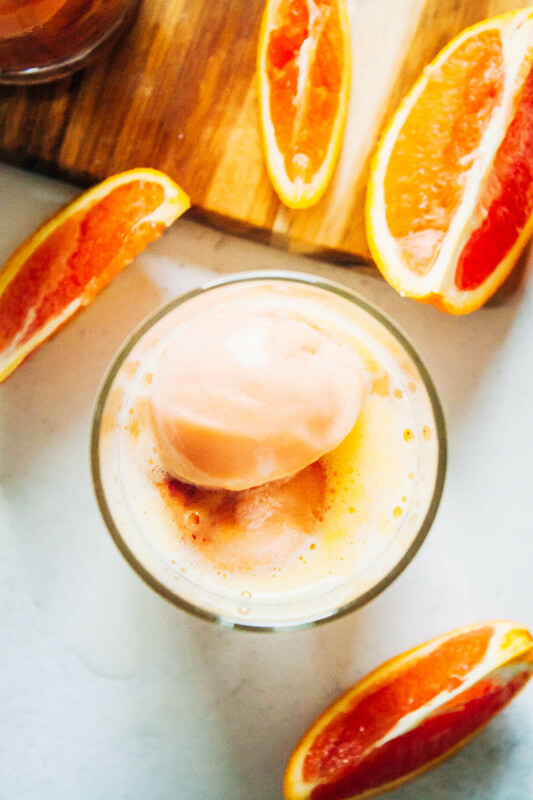 These kombucha mimosa floats are a deliciously high-vibe fizzy treat, perfect for brunch or dessert! Recipe inspired by Laura Wright's recipe in The First Mess Cookbook, Avery Publishing. This is less of a recipe and more of an idea. Here's what you do - take two tall glasses or champagne flutes. Add in four scoops of your sorbet or sorbetto to each glass (or however many can fit). Pour over enough kombucha so that it's almost to the top of the glass. Put a straw in each glass and enjoy! If you make this recipe and post it on Instagram, be sure to tag me @wellandfull and #wellandfull so I can see! These photos are stunning! And I cannot wait to make this recipe! 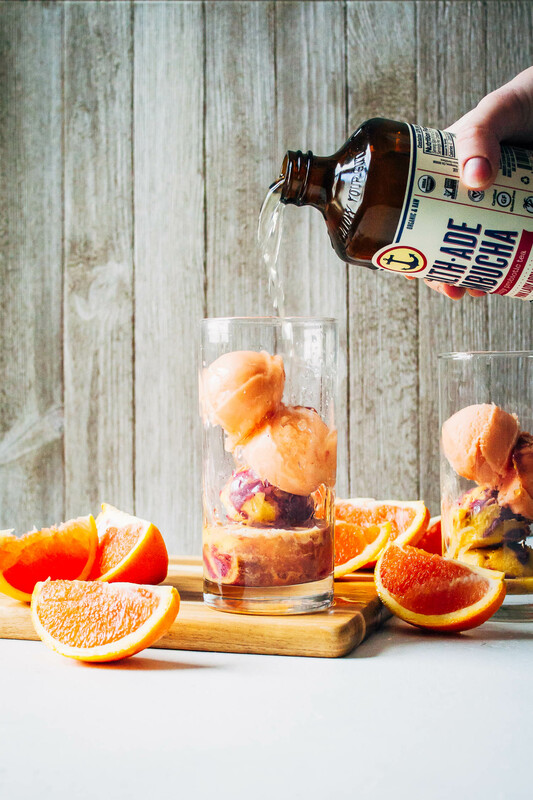 Love the mimosa AND float concept with the best drink around – kombucha. These sound so great! I can’t wait to try and make these at home. I love floats but have never made them with kombucha before. 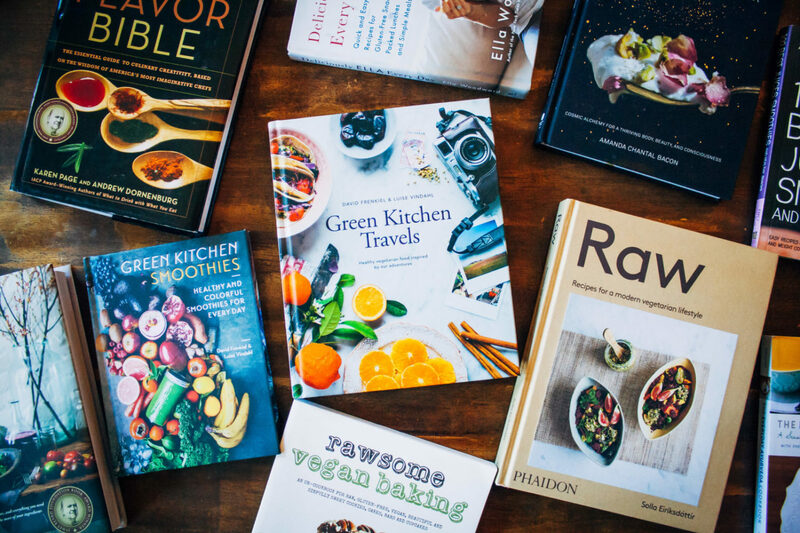 Definitely going to have to give these a try the next time I head to the grocery store! Thank you for sharing!